Clairvoyance (clear seeing) is a natural power within everyone, since ancient times it has been used to manipulate, assist and enhance. Everyone has the ability, it is what you do with it that counts, clairvoyance is your birthright,and if developed will be a guiding light throughout your life. Within the ether is the light of inner sight and once you have rapport your seer ability is awakened. Clairvoyance is distinct from your usual senses, it is a new awareness of knowing and cognising facts, opening unexplored fields of understanding. If the latent powers within all people are triggered, thinking will be revolutionised, if the individual becomes aware of their powers a spiritual shift will take place. Personal responsibility for all actions and thoughts will be the accepted norm. Clairvoyance, for the novice, is not unlike learning a new skill, whether this be mental or physical, it takes effort to try something new, but with practice becomes automatic and involuntary. Clairvoyance is for anyone, rich, poor, young, old, male, female, it is indiscriminate, it is for any level of intelligence, anyone, anywhere can be clairvoyant, all it takes is application, determination and constancy. There is a system to it, and training is required for it to work, for all but those who are naturally spontaneous. Some are gifted with second sight from the moment of birth, but for everyone else effort is needed to achieve the desired results. When being clairvoyant you are acting outside your normal mental behaviour, do not become discouraged if nothing happens to begin with, you are exercising a new muscle and this is always testing. Every time you try you are one step closer to seeing beyond the five senses, any path you take will lead to the same goal, whether this be psychometry, tarot, runes, I Ching, scrying or any number of occult practices. A strong and focused mind is a prerequisite to success. Spending approximately six weeks practicing steadily on a daily basis will more than likely allow the average person to develop psychic skills to one degree or another, and with continued work allow latent abilities to surface. Develop your potential through one hours practice each day, using will, concentration, persistence, self-awareness, self-restraint, energy, focus and love. You will have better results with a healthy rested body and working in a calm and peaceful environment. Observe temperance, there is plenty of time to learn, do not compare yourself with anyone, each individual works at their own pace and this is part of their karmic destiny. 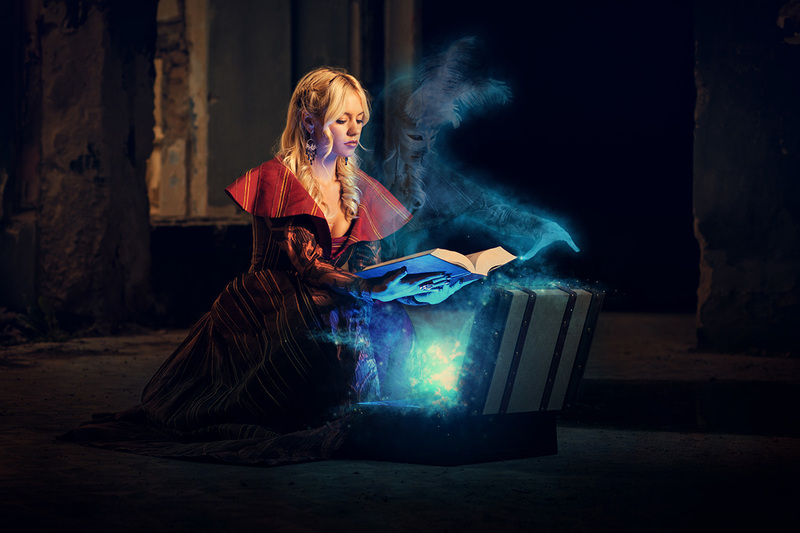 Like anything else clairvoyance is an art, it can be a valuable tool in your life, allowing you to express various degrees of perception, offering knowledge of things independent of ordinary avenues. This knowledge can be attained by different and widely diverse methods. Psychometry is a type of sensitiveness where emanations are read from objects and people, a rapport is achieved through holding or touching an item or person, and reading from the item or person. Through this the seer can become aware of people distant or dead, they can feel and describe a person on all levels, social, moral, spiritual, health, intellectual, financial. Some clairvoyants are able to pick up on illness and pinpoint the area of the body that is affected. When practicing psychometry, ability can be deepened by noting very carefully the first and strongest impressions when holding a letter, touching a person or object and relaying what you have perceived. Through interaction with others and response from them as to the accuracy of your insights, you gain understanding of your own perceptions and grow from there. 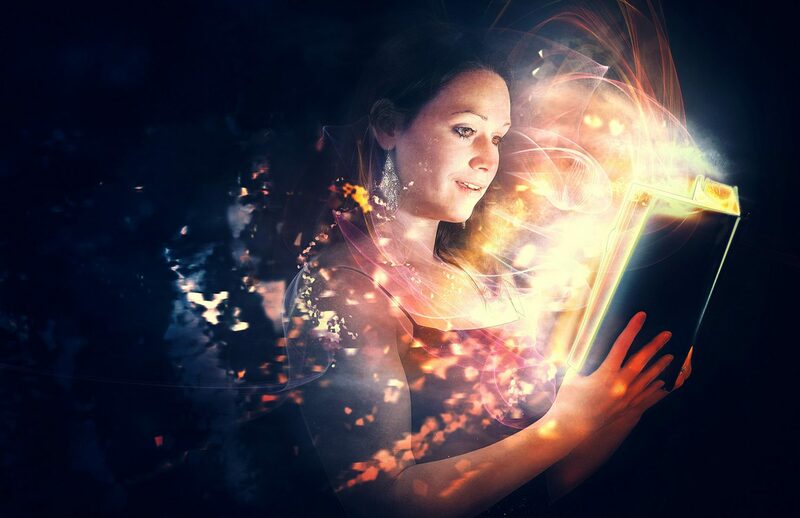 Psychometry also helps you to find out your unique strengths, the more you experiment the more you realise clairvoyance is something you can unearth and unleash. Intuition is peculiar to all people, with some it is heightened, with others it is in a nascent state. It can be developed in everyone and when active, clairvoyance comes naturally. Natural, heightened intuition is effortless, it offers an instantaneous perception of facts and events. When your intuition gives you a message, listen and respond accordingly, over time your perceptions will become clearer and happen more often. The powerful difference between clairvoyance, psychometry and intuition is that clairvoyance sees, psychometry feels, whereas intuition is instant knowing. In our natural state we see through dark glass, with clairvoyance the seeing is more distinct, with psychometry there is feeling in a lesser or greater degree, intuition however is a grand leap of understanding, it is instantaneous. Perception comes in various degrees, there are those who have the ability to locate lost items or stolen property, others step into the role of psychic, or fortune teller, some have a scientific understanding. Others delve beyond life and death and have a vision that is all encompassing, with an understanding of the mysteries of the universe, and pure spiritual enlightenment. Everything has its place and everyone has their place. Each person delving into the art of clairvoyance will approach in a different way, and no two people will learn in the same way. Personal idiosyncrasies will determine the individual’s psychic journey, and dictate what their specialty will be. This is not something that can be forced as each human being is a law unto themselves, and has a particular karmic path to follow. Your nature will dictate which psychic path to take, and the one to follow is the one that feels the most natural and comfortable to you. Look carefully at yourself and progress with honesty, ask yourself what you wish to become and focus all your energies to this end. Set a spiritual/psychic goal and work towards it undeterred, believing in yourself and your abilities. 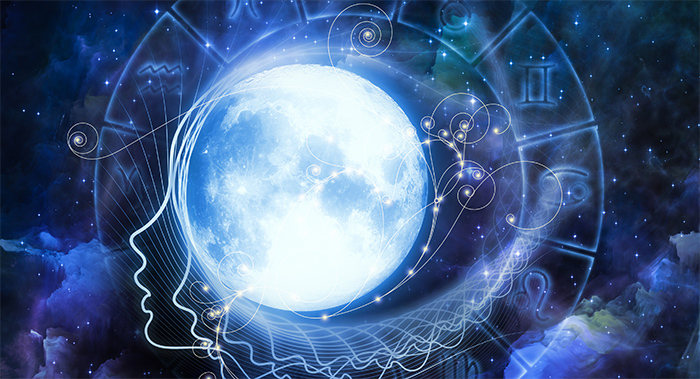 Those wishing to pursue a career as a psychic should adopt a specialty and focus on this until they become an adept. Through practice you will find your strengths, this could be images, words, feelings, communing with the dead, tuning into disease, finding lost items, tapping into the past, the present, the future or other dimensions. Whatever you are drawn to focus on it and persevere, faithfully following through on and working at your speciality. Be a patient student and take small steps, aim for slow steady growth. There are degrees and types of clairvoyance, intellectual, medical, natural, ethereal, social, Divine, practical, mental, awareness of the inner body and certain organs, scientific, artistic. There is clairvoyance of past, present and future. Some seers enter into a trance, others do their best work fully conscious. 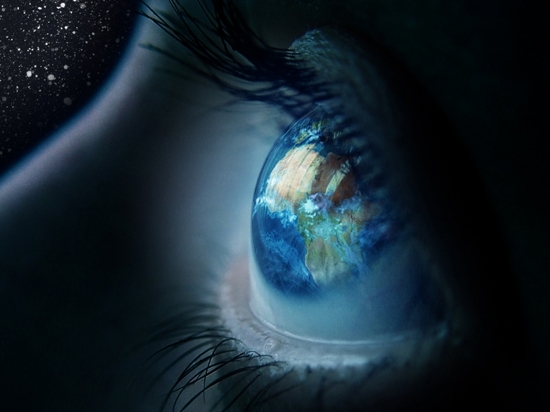 Some have exceptional perception, where they have an understanding of all things and are able to cross all barriers of the outer senses, seeing and knowing beyond any logical understanding. Deep breathing and meditation will help clairvoyance, ancient tutors of the occult taught their students special breathing techniques to enhance their abilities. 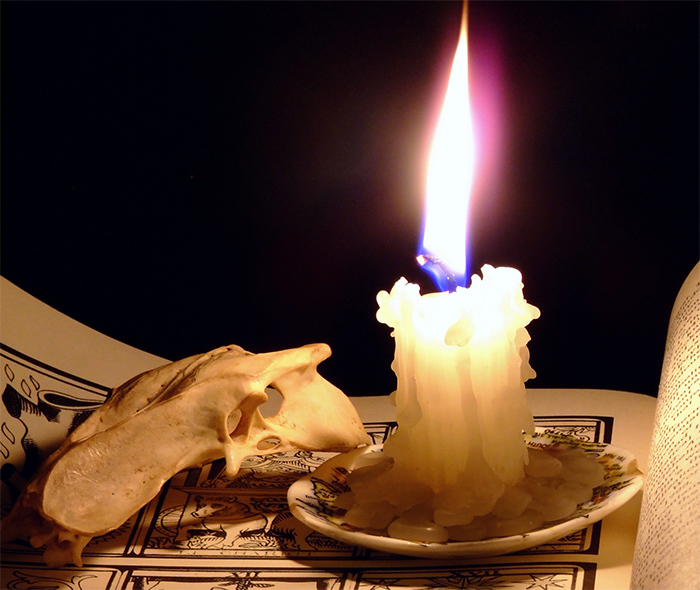 Scrying, yet another approach to clairvoyance, scrying requires you to place a few drops of ink in a clay vessel containing water, then to gaze into the water until images appear, this works best in a darkened room with two candles placed behind the container. Everything that takes place in life is projected onto surfaces, memory is held within objects, impressions and images are recorded, waiting to be retrieved through clairvoyance. Images of those who have died can be picked up by a sensitive, or from the aura of certain people, emanations can be picked up from houses. In ancient times scrying was often done in rock pools and lakes, in places such as the Witch-mountains of Italy, the glens in Germany and the Devil’s Glen in Wicklow, Ireland. The ancient Egyptians favoured this method of clairvoyance. A practicing clairvoyant, understands, learns and grows in mental power day by day, tapping into a store of personal power and spiritual awareness, clairvoyance will refine the mind and awaken the soul. When being clairvoyant you place a foot in both worlds, the mundane and the ethereal, and as you work with others you are given an insight into their destiny, able to see the state of a person at any given time. A clairvoyant steps beneath the outer world and appears on the other side, penetrating the veil between two worlds, it is the light the seer reaches. To see clearly it is necessary to have the will and the ability to focus the mind, this opens you up to the dreamlike state of the psyche, where images will appear or words. When reading for someone relay all you see, hear and feel, hold nothing back, be honest. Mirror-seeing is another type of clairvoyance, this is similar to scrying but requires a different process, spirits can often be seen through this process. Socrates, Plotin, Scaliger and Cardanus spoke of magic sight, and Paracelsus, was known as a great mirror-seer. Theodore Santabaron, was considered a miracle worker, he showed the Emperor Basil, of Macedonia, who was devastated over the loss of his beloved son, an image of his son in a mirror, magnificently clothed and mounted on a spectacular horse. The Emperor’s son rushed towards him from the mirror, dived into his arms and disappeared. 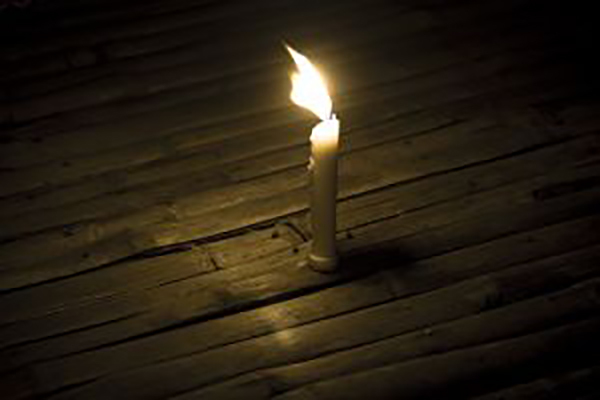 To see in this way, first darken the room and place a lighted candle next to a mirror, the reader focuses beyond their own reflection and gazes deeply into the mirror, through this process, spirits, people, symbols or messages can be reflected back, images of the past, present and future, often past incarnations will be presented to the seer. As long as the seer has the will, a face, place, symbolism or picture can be held and careful viewed, seemingly impossible things can be disclosed. When working in this way it is not unusual for an aura to appear around the mirror, and the mirror itself can radiate with aural light. When using a mirror, use a good quality one that offers a clear reflection, make sure there are no marks or cracks in the glass and choose a pleasing frame also without any imperfections. 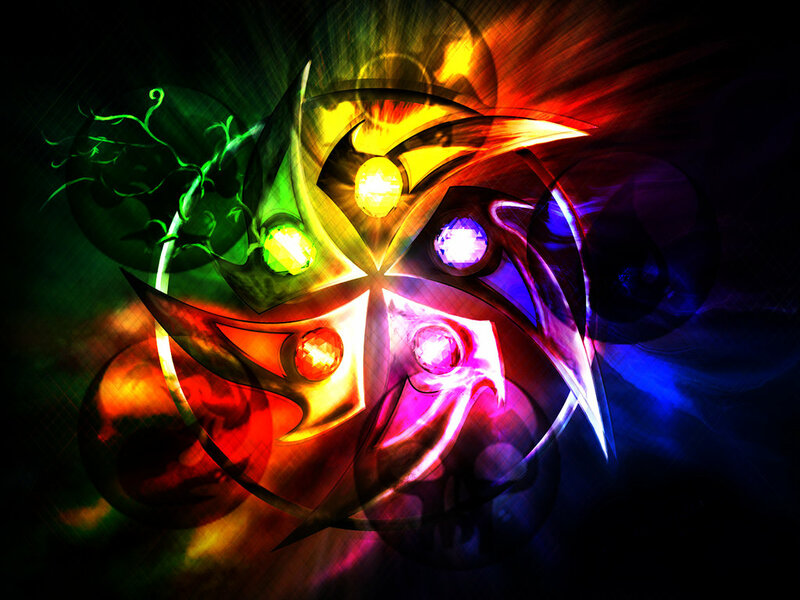 You may wish to decorate your mirror with crystals, doing this will add to the intensity of the mirror-seeing. As with any instrument used for seeing, the mirror should not be handled unnecessarily, and only the seer should touch it, the mirror can be anointed with fragrant oils if you choose. Keep the mirror away from direct sunlight as it influences and dilutes its potency, however a mirror will benefit from Moonlight. Clean the mirror with a little vinegar and water using a soft cloth, this keeps the mirror energised, pass the right hand over it for five minutes at a time, always do this before use. This keeps it alive and ensures it has strength and power. Passing the mirror with the left hand intensifies its sensitivity, and the longer and more frequently it is used the more powerful it becomes. A mirror used for seeing should be covered with velvet and stored away carefully when not in use, and once a month placed in full Moonlight, either outside if the weather is temperate, or through glass if not, Moonlight generally adds to the power of the mirror. No-one but the owner of the mirror should touch it, the mirror should be treated as carefully as a new born baby. If the mirror is held or placed it should be tilted leaning slightly back from the person looking into it. It is better to suspend a mirror that several people are looking into and no one should touch it. Often while the energies are accumulating the mirror will become completely black and no reflection can be seen for a time, clouds will then appear on, or in the mirror before the visions. White clouds are auspicious, black clouds inauspicious, telling you to be aware of what is taking place in your life. The colours violet, green or blue are telling of future joy and happiness, a positive event. The colours red, crimson, orange or yellow are alerting you to some difficulties ahead, this can also mean you should be taking care of your health or finances, and to be aware of who you are spending time with, and you are being urged to look carefully at your life in general, as maybe there is something you should be attending to that you are ignoring. Whatever appears in the left hand side of the mirror is real, it is the image of an actual thing, whatever appears on the right hand side of the mirror is symbolic. Ascending clouds or indistinct shadows are affirmative replies to questions, asked either silently or out loud. Descending clouds offer a firm no to questions asked. Clouds or shadows moving across the mirror towards the seer’s right hand are signals from spiritual beings. Clouds or shadows moving across the mirror towards the seers left hand mean there are no more spirit messages for the time being and it is time to stop. If there is someone in particular you wish to conjure in your mirror, fix your mind on the name of the person, there should be an instant Soul connection wherever they may be, as long as the force is benevolent, a connection can be made. When delving into clairvoyance of any sort, there are innumerable intelligences inhabiting the different levels, Celestial and otherwise, always work with an open loving heart and have positive intent. There are many levels of matter and spirit and a warm loving heart will ensure contact with benign, good, loving, honest energies. When seeing for someone, you are reading a book of their life, revealing their destiny, solving difficulties, informing them about what is to befall them, whether to do with health, relationships, affections, possessions. At times with glimpses, at times with detail revealing to the inquirer information pertinent to their life. Our spiritual nature is an integral part of us and needs to be released, and through psychic awakening the barriers that surround the mind and Soul break down, releasing the spiritual forces that are innate. As we go about our day to day lives, lying beneath the surface is a wealth of information as though in another world, and anything we need to know or see awaits our perusal. There is no accident, no chance, this is just our perception, by removing the veil that hangs over the inner senses, the mysteries awaiting are revealed, it is often said that the past, present and the future are simultaneous, everything is taking place in the moment. When communing with the inner world, out of sight of the rush and noise of the outer world, there is a quiet treasure waiting to be discovered. There are distinct spiritual laws to apply when taking an inner journey of awareness. PURPOSE that is absolute to a given end, aim purpose, persistence, strength of will shrinking at no obstacle, never admitting defeat. ATTENTION and focus, concentrated, steady, whether upon a person, object, principle, purpose or thing you wish to achieve. CALM, peaceful, persistence, nothing rushed, excited or loud, as this disrupts the finite spiritual current and scatters the flow of power. WILL is paramount, willing something with intensity so that psychic doors must open for you because your message of intent is received with such power and clarity. INTENSITY goes without saying, without intensity there is no impetus. POLARITY with this there is connection with all, this is like a homing device reaching out to the universe to connect. LOVE the eternal force, always approach with love in your heart, when you work imagine yourself sending love out into the universe. BELIEF, this is a prerequisite and nothing can be attained without it, faith in yourself, and faith in your power and the power of the unknown. We are human beings, floating in a sea of mysteries, hidden behind a veil, which through perseverance and application, can be lifted or seen through allowing entry into a mystical domain, offering knowledge to those who dare to probe. Be courageous, have will and persist.